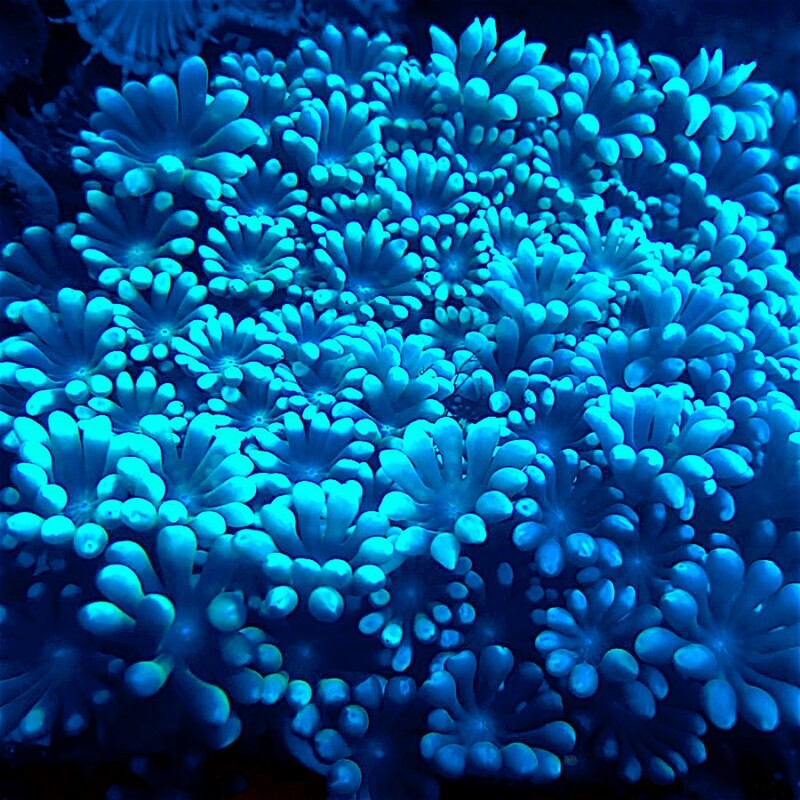 The Sea Foam Alveopora is a strain of LPS we have been culturing for many many years now, but we have been patiently growing out our mother colonies before distributing. These polyps are HUGE and fluffy clouds on long stalks. 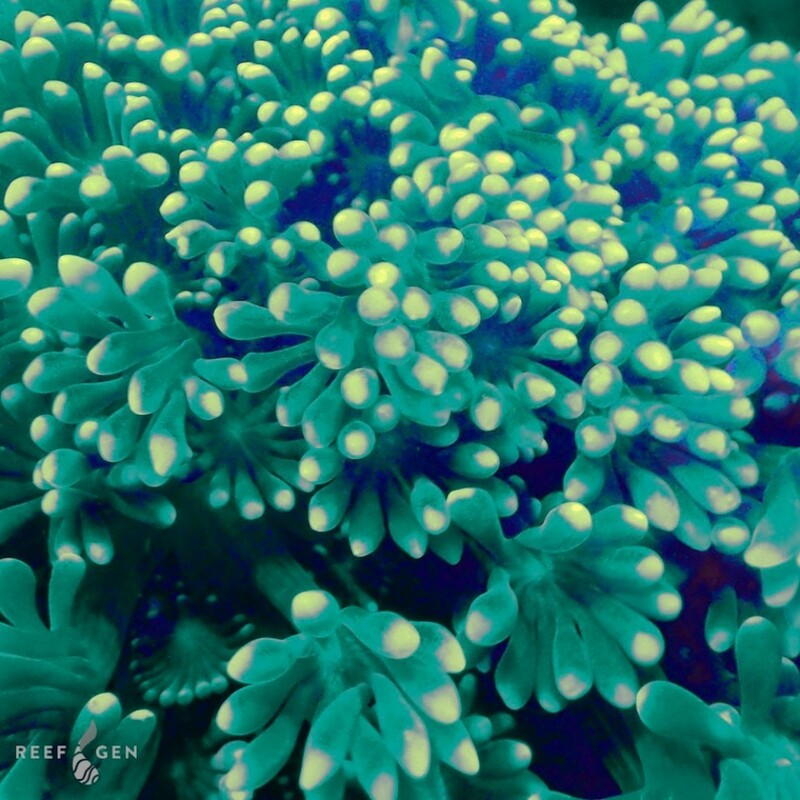 They are sea foam green (baby blue + green) and the density of these fluffy polyps makes it almost look like a bubble coral. It is hardy and low maintenance. It does not require supplementary feedings, but it will grow faster with feedings.